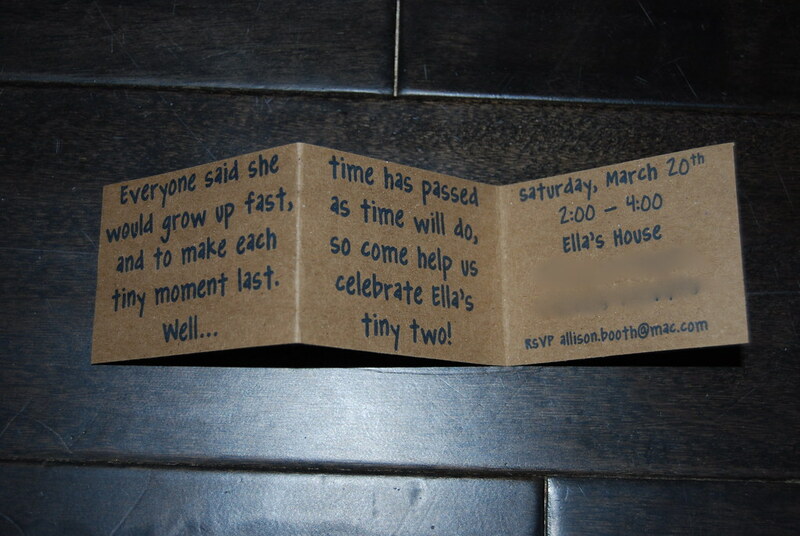 Ella's tiny two invites got mailed today! They are nothing too exciting but they were cheap and easy to make. I used microsoft word to make them. 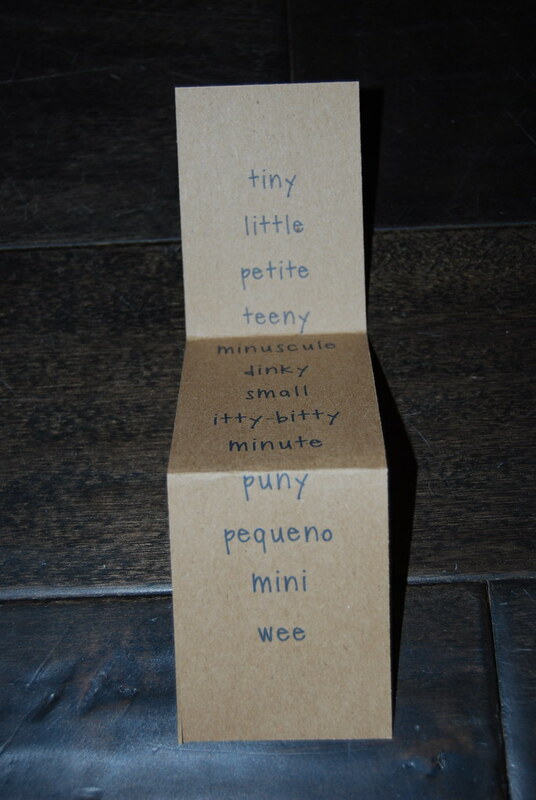 I put a short rhyme on the front and listed different meanings of tiny on the back. 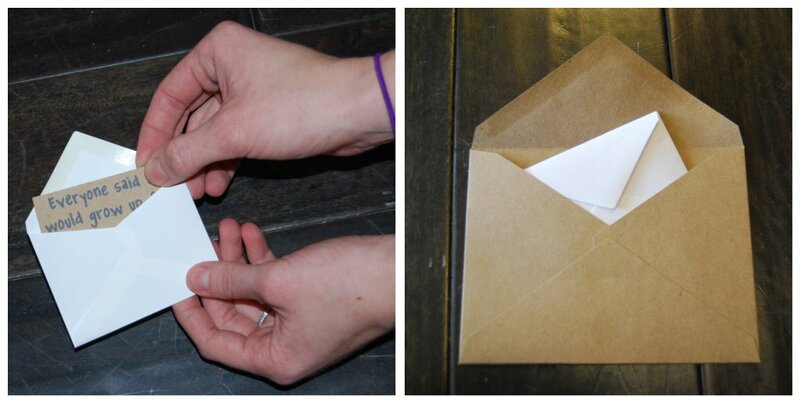 I did the invitation in a tri fold so that it could fit in the tiny envelope. 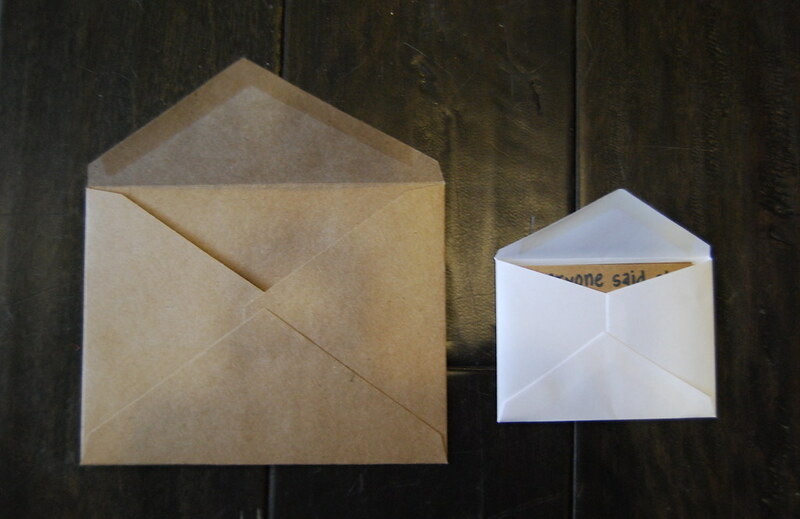 The tiny envelope then went into a regular sized one. 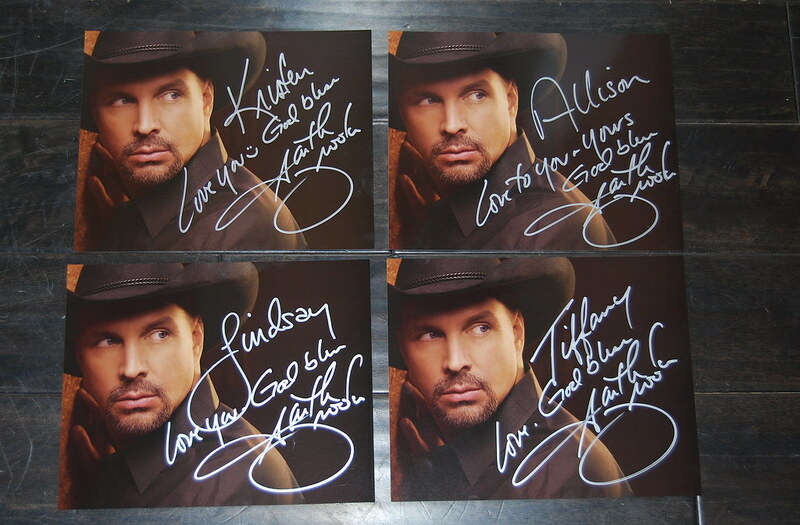 Speaking of mail...look what somebody named GARTH BROOKS sent us in the mail last week!!! ARE YOU SERIOUS???!!!!!! OH MY GOSH!!!! That is so much fun! You all just crack me up!!! ahhh I love the invites!! And your mail from Garth (: I can't wait for her party!!! NO WAY on the signed Garth pics! That's awesome!! So jealous! Ya'lls story is just absurd. I still can't get over it. Super duper cute invites too. I'll be seeking advice and inspiration for Winlon's first in a few months! The tiny invites are perfect! I can't wait to see the rest of the party! It will be so great. Two is a great age, there is so much to teach them!!! I wish I could come early to help!! That would be fun!!!!! Love you and please give Ella a big hug and kiss for JoJo!!! !